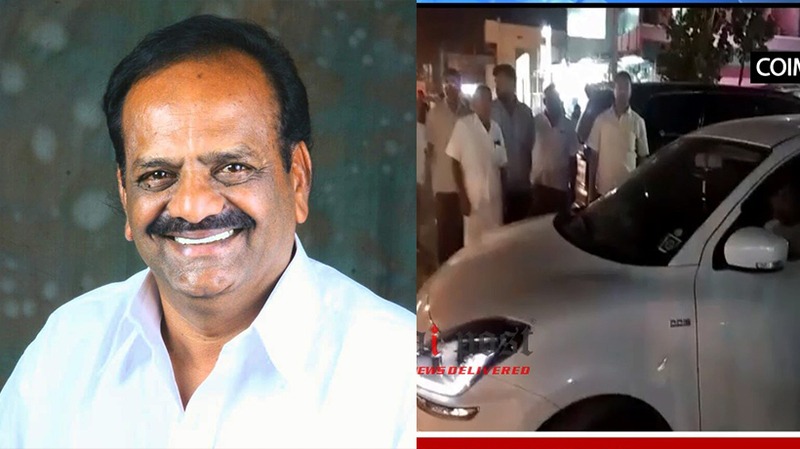 Coimbatore : A DMK Executive committee members and Coordinator, R Chandran was arrested late last night in Sulur party office on the outskirts, on charges of misbehaving with some women during a train journey, police said today. The case was that Chandran reportedly misbehaved with some women passengers, when he was returning to the city on March eight after attending a party meeting at Chennai on March eight. The women passengers had pulled the chain and stopped the train, following which railway police officials rushed to the compartment. After an inquiry, Chandran, a former Panchayat President in Sulur, and three of his colleagues had provided a written apology for his behaviour and put an end to the matter. However, sleuths from Salem Railway Police and Sulur arrived at the DMK office last night and arrested 65-year old Chandran, based on an FIR filed by the women at a police station in Chennai. The sudden arrest attracted the wrath of party workers, particularly during the elections and termed this as a false case and politically motivated.